The Society for Incentive Travel Excellence (SITE) of Texas and two industry leading incentive recognition companies, V2 Incentives and Galactic, Ltd., have announced completion of funding for the William J. Vastine Scholarship Fund. This joint effort of three organizations is to be administered by the University of North Texas College of Merchandising, Hospitality and Tourism. Each year, for the next 5 years, a deserving student, chosen by the UNT Scholarship Committee, will be awarded the scholarship. 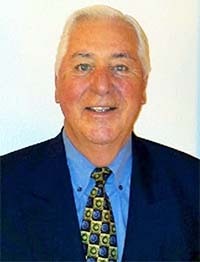 William (Bill) J. Vastine, PhD, was an industry leader and served as the president of SITE International in 2003. He was an advocate for incentive travel and encouraged involvement and education, and in that spirit, the scholarship was founded to keep his passion alive. Bill passed away on June 29, 2015 after a battle with pancreatic cancer. Bill enjoyed a varied and distinguished career. Following graduation from The Ohio State University he completed the Kroger Management Training program. He returned to graduate school and earned a master’s and doctorate while serving as an instructor and college counselor. Bill was a partner in Group 7 Consulting before becoming co-founder and co-owner of Galactic, Ltd., a performance improvement and incentive travel company headquartered in Arlington, Texas. Most recently, Bill worked with his two sons in their company, V2 Incentives. Over the course of his career Bill earned numerous industry awards and recognition and authored or co-authored more than 200 technical, popular and consulting publications.